Jean Luc Picard is a man’s man. Career Starfleet, unafraid of even the most daunting challenges. He’s kind when he needs to be, but more than willing to fight when its called for. 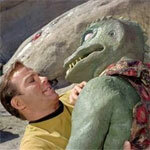 That being said, the writers of Star Trek seem to really enjoy torturing this man (sometimes literally). For a character that is known for being made of stone the writers of TNG and the movies seemed to gleefully enjoy trying to shatter him. 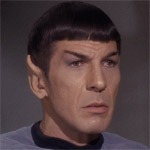 Here are 13 things that would leave an average person a mess for years to come, but not Jean Luc … well, mostly anyway. Jean Luc is given information about something rotten going on at Starfleet command. He tries to meet with an old friend only for his ship to get blown up. Traveling to Earth he finds out it has been infiltrated by parasites and is forced to put down all of his commanding officers who have become infected. Thankfully this is the last time Picard is forced to kill anyone from Starfleet. They do have a point. The man should pretty much be a quivering mass of extreme PTSD by now. I son't think that I have ever considered Picard a "man's man"
They imply that he was something of that in his youth. Bar brawling and sleeping around and all that. Course in the real world, manly men do stuff like join the army, get into wars - and then spend decades broken and hurting inside, and committing suicide at record rates afterwards, because being a manly man doesn't actually make you immune to the psychological effects of trauma outside of movies. Actually that always amused me about the reaction to Troi. Yeah, she's often a badly written character. But a lot of people also pooh-pooh the very idea of a counsellor being an important job in Starfleet. Meanwhile veterans are wigging out and killing themselves exactly because the attitude that you can experience traumatic events and then just shrug it in macho fashion off really doesn't work for most people outside of movies. Damn, Graham. That's actually a pretty damned good point about Troi. And as for Picard... I see him as a man's man, because, well, he is. It bugs me because if they'd been up for it, they could have dome some pretty interesting stuff. Imagine if, say, Wesley had started showing signs of PTSD. Say he'd started developing anger control issues, whilst being in denial about it. You could have had some really interesting scenes with Troi actually doing her damn job and talking it through with him. Instead of being on the bridge sensing danger and whatnot. Just a little dream I have. As an aside, impulse control disorders are not necessarily linked with PTSD. Graham Kennedy wrote: It bugs me because if they'd been up for it, they could have dome some pretty interesting stuff. Imagine if, say, Wesley had started showing signs of PTSD. Say he'd started developing anger control issues, whilst being in denial about it. You could have had some really interesting scenes with Troi actually doing her damn job and talking it through with him. Instead of being on the bridge sensing danger and whatnot. Just a little dream I have. The old 'what might've been'. And true, too. Seeing Troi doing actual counseling sessions would've done wonders for her perception. I would consider Riker the most blokish guy on the series. I was pretty young (or nonexistent) in the 80s, but my impression was that PTSD wasn't so very well understood then, if it can be said to be well understood now. I seems it was only added as a medical condition in the 80s, but I don't feel like it was until after the recent Iraq/Afganistan wars that it's been appreciated as something that could happen to anybody. As opposed to a fluke for the weak minded, or somehow related to actual concussive sounds/explosions causing some form of damage. So while it might have resonated with some Vietnam vets, I think much of the viewing audience wouldn't have "got" it if TNG had tried that. I wonder if they might explore some of those themes in the new Trek though.